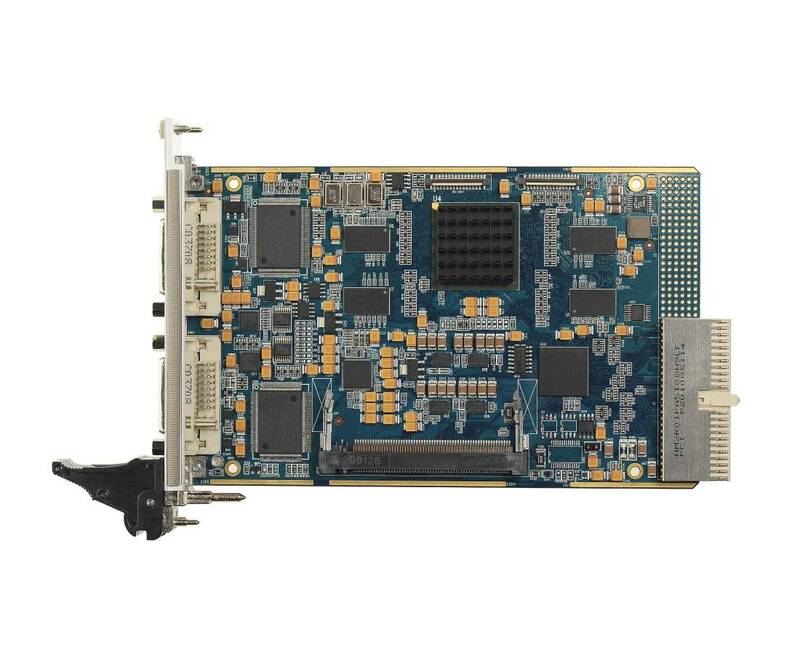 The H264-ULL-cPCI Encoder board is a dual channel, high definition, ultra low latency H.264 encoder for CompactPCI systems. It allows system builders to easily add high definition video capture and H.264/MPEG-4 AVC (Part 10) encoding to their embedded CompactPCI equipment. The H264-ULL-cPCI is ideal for time-critical applications as it offers Ultra Low Latency encoding of below 40ms across the entire capture resolution range. The H264-ULL-cPCI supports dual H.264 encodes at resolutions up to 1080p30 or a single encode at 1080p60. The H.264 encoding can be flexibly configured to suit a range of bandwidth and storage requirements. The H264-ULL-cPCI has two analog HD video input channels. Each channel can be independently configured for analog YPBPR HD, analog RGsB (Sync on Green), analog VGA (separate HSync, VSync). The H264-ULL-cPCI is supported by comprehensive and well supported software development kits (SDKs) for video recording and video streaming. The SDKs are designed to significantly reduce development time in Windows and Linux environments and include support libraries, drivers and example applications to help developers fully utilize the H264-ULL-cPCI features in complex video compression / overlay applications.